For the beginning of the week our deal hunters have found you a wonderful cruise deal and for a great price! This week’s top choice is a weeklong Bahamas cruise in a balcony room from $579 per person. If you choose to book it, you will sail those exotic waters aboard Carnival Pride, one of the beautiful ships of Carnival Cruises. You can choose from several sailing dates for this cruise journey between November 13 and December 11 2016, all offered for good prices considering it is a 7 nights trip during which you cannot only enjoy the sailing itself but also visit some of the beautiful places of the Caribbean. If you want to get a cabin, you better hurry, you know that the best offers usually sell out first! 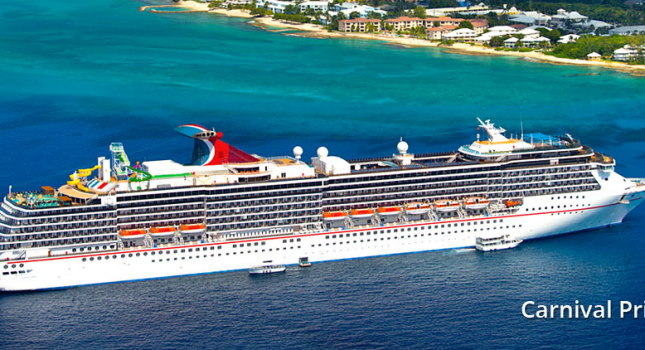 The cheapest inside cabin on this weeklong Bahamas cruise on Carnival Price start from just $509 per person while you can book oceanview for $539 now. As it was mentioned before, you have to pay only $579 if you want to have your own balcony, for a perfect experience and if you prefer to have more space and luxury, get yourself a suite starting from $944. Carnival Pride will start its weeklong journey in Baltimore, Maryland. First the ship will sail for two full days without a stop and then you can have your first shore excursion in Port Canaveral, Florida. The day after that the Carnival Pride will stop in Nassau and the next day in Freeport. After one more day of cruising the ship will arrive back to Baltimore. Why not check the similar Bahamas cruise deals of some other travel sites as well? It is a great way to be sure you have your hands on the best offer or to find even more deals for the next months or even year! This entry was posted on Monday, October 31st, 2016 at 9:17 am and is filed under Cruise Deals, Top Deals. You can follow any responses to this entry through the RSS 2.0 feed. You can leave a response, or trackback from your own site.